Applications for 2017 AIG Student Bursaries are now open. Third year, Honours and Postgraduate geoscience students are invited to apply for an AIG Student Bursary. Applications for this year’s program close on Friday 4th August. In 2017 the AIG is again offering bursaries to Honours, Postgraduate and Third Year geoscience students. The 2017 Bursary awards, which have values between A$1000 and A$4000, are funded by the AIG, by the generous sponsorship of individuals and organisations, and by donations from AIG members to the AIG Geoscience Education Foundation. Further information on bursary applications here. The AIG Victorian State Branch is also offering Student Travel Grants in 2017. More information is available here. The 2017 Travel Grants have a value of A$1000 and are funded by the volunteer efforts of the Victorian State Branch Committee. 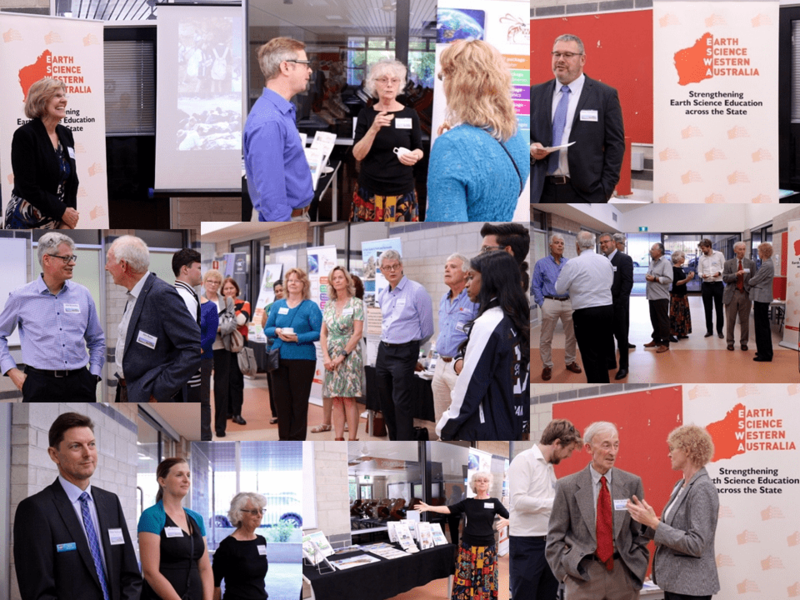 Invited guests of Earth Science Western Australia (ESWA) descended upon Canning Vale College on the 23rd of March to celebrate the official launch of edition two of Exploring Earth and Environmental Science. ESWA Board members, supporters and volunteers, Earth and Environmental Science (EES) teachers and students took this opportunity to celebrate an important milestone in EES education. Peter Rudrum, Principal of Canning Vale College, enthusiastically welcomed all guests and spoke about the important assistance given to the College’s teachers and students to resource and promote earth sciences education across Years 7-12. 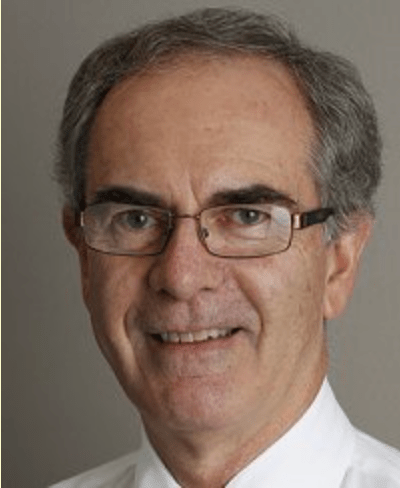 Mark Thompson, Vice Chair of ESWA, reminisced about the history of the textbook (initially released in 2011), thanked the many contributors to this edition and shared a little about the large number of successful programs ESWA runs across the state. Professor Lyn Beazley then took the stage to officially launch this edition outlining how import EES and STEM education is for our future and her love for the new textbooks. She went on to share with everyone her favourite parts of the texts (she really had read them cover to cover!) and why these were interesting and special to her, stating that they are the best Earth and Environmental textbooks in the world. This launch was a wonderful opportunity to celebrate all that is being done to support and promote earth sciences education across WA by a dedicated team with a large number of supporters. The new edition of this textbook would not have possible without the support of Woodside Energy nor this launch function without Canning Vale College. The textbook Exploring Earth and Environmental Science was released in 2011 to support the Western Australian EES curriculum. This large volume, 520 pages, served teachers and students well for several years. With the implementation of the WA version of the Australian Curriculum from 2015 it was decided that the textbook needed a major revision to align itself to the curriculum and to allow for important updates. A team of dedicated authors then set out, under the direction of ESWA’s CEO, to split the book into two volumes, Year 11 and 12, to produce relevant, easy to read and visually appealing textbooks for students. Since its release late in 2016 hundreds of volumes have been sold in WA, the ACT and Queensland, with growing interest from other states. For more information on these texts, or to purchase them, visit – www.earthsciencewa.com.au or contact Jo – jo@earthsciencewa.com.au. This conference is the premier Australian mining geology forum and has developed strong international support since the first event in 1990. Interested in attending, sponsoring or exhibiting at the Conference? Visit www.mininggeology.ausimm.com.au. The Tenth International Mining Geology Conference 2017 will feature a 3 day technical program of peer reviewed papers presented in multiple formats such as standard conference presentations, snap shot presentations and poster presentations. The program will include Q&A sessions plus an extensive program of networking events to continue the exchange of technical knowledge. education, interface and knowledge management – gaining skills and communicating opportunity. The conference will host an extensive tour and workshop program to maximise learning opportunities for delegates. The AGC has continued to be very active in advocating geoscience in Australia throughout 2016. We provided a submission to the National Review Of Research Infrastructure and also promoted the views of AuScope, UNCOVER and the Australian Academy of Science National Committee of Earth Sciences, which also made submissions. We are supporting the Geological Society of Australia (GSA) initiative on Geotourism with a matching contribution of funds for an economic feasibility study on the Warrumbungle UNESCO Global Geopark proposal. This will be a benchmark study and will provide a template for proposals for other Geotourism projects in Australia. We see Geotourism as an important way for the community to engage with their local rocks, and potentially a way of creating opportunities for geoscientists. The GSA’s information is at http://bit.ly/Geotourism. Incidentally there was a successful ‘geo-cultural’ tour recently of Sydney’s iconic (and aptly named) Rocks District. The AGC has been attending meetings to help develop the Decadal Plan for Earth Sciences in Australia. We see this primarily as a value proposition document to promote future benefits from investment in geoscience. By focusing on the Education and Advocacy sections of this document we consider it will promote the importance of Geoscience and the knowledge we derive from rocks as part of an integrated Earth Sciences strategy. The AGC Strategic Plan was presented at the 35th International Geoscience Congress in Cape Town, South Africa in August. This provided an opportunity to engage with other like-minded organisations around the world and start to understand how we can all interact, support various initiatives, and learn from our shared successes. The presentation that I gave is available here. We developed a Media Blitz for this year’s Earth Science Week in October with three main themes. The first was #OzRockStocktake, the photographic outreach event which many of you participated in. Results were very pleasing and can be found by using the hashtag to search Google, Facebook and/or Twitter. We also unveiled a new addition to the National Rock Garden in Canberra, being a piece of Moruya granite from the quarry that provided the dimension stone for the Sydney Harbour Bridge pylons. And finally, we urged our Federal and State Governments to support the UNCOVER initiative to find the ‘next generation’ of hidden mineral deposits in Australia, as these will sustain Australia’s high level of economic prosperity and resource security. These three media releases achieved considerable penetration into Government at all levels. They can be found on the AGC web site. We have provided some support to the programs developed by Ms Suzy Urbaniak of Kent Street Senior High School and we are pleased to note here that she was awarded the 2016 Prime Minister’s Prize for Excellence in Science Teaching in Secondary Schools. I congratulated Suzy formally by letter (and informally of course). We know she is a great resource for others who want to emulate her successful engagement of students and the community.